One of the visual content creation tools I use and recommend is Canva – I first wrote about Canva back in 2013 in terms of creating Holiday marketing materials including Christmas cards. 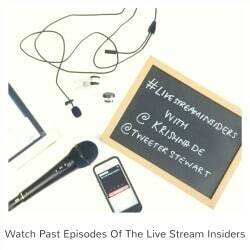 I use it every week for my Live Stream Insiders show where I create graphics to both promote the show and for use during the show. Over the years we have seen a number of new features be released and again this ween they have updated the platform so that you can create dynamic charts and visualise data, embed designs directly within blog articles or Web pages, and publish your design as a Website that can be shared with friends, family or colleagues. 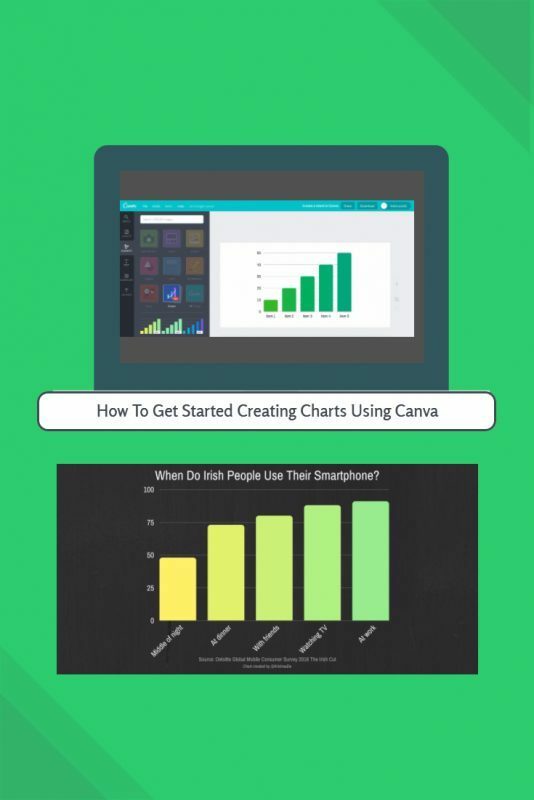 The feature that I personally find most interesting is that of being able to easily create charts in Canva – see later in this article how to get started in creating charts even with the free Canva account. 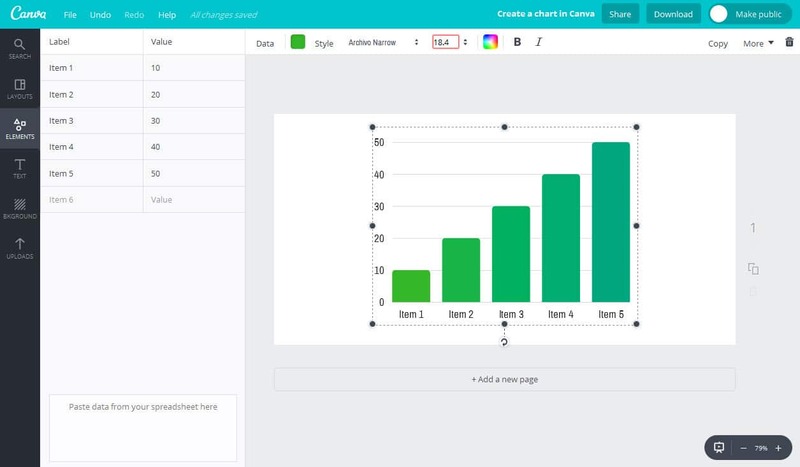 There are a lot of designs available and you can type in your own data or copy it from a spreadsheet to create bar charts, line graphs and pie charts in just a few minutes. 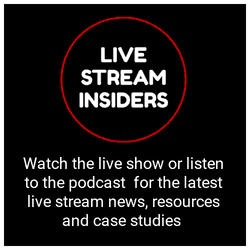 A second feature that Canva has released is that of embedding your content – see later in this article about how to enable Canva embeds. 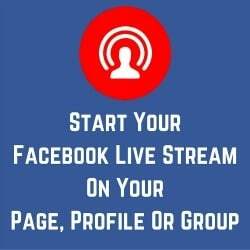 This means you could embed your content into your blog or website or any location where you can embed content and it means that you can always change it and updates will be immediately made to your content. 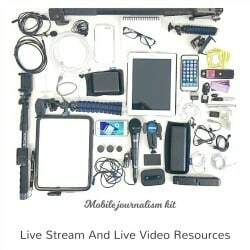 I am personally not a huge fan of embedded content from third party sites and prefer to host my own content (with the exception of using platforms such as YouTube and SlideShare) – however I can see times that this could be effective in your marketing communications. 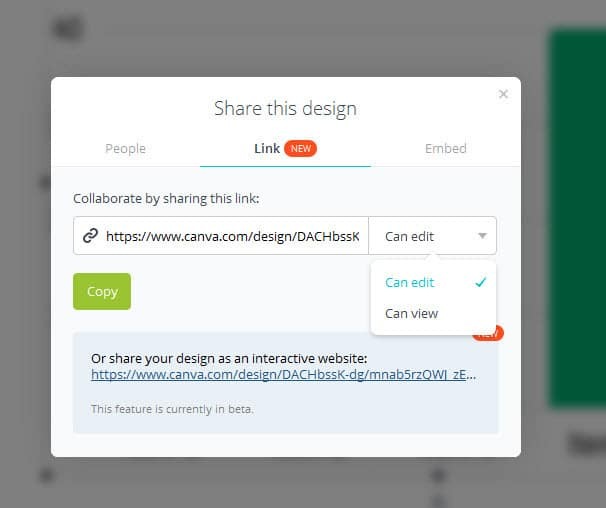 A third feature that Canva has released is the ability to share your content as a web page. You can now turn your Canva design into a web page. 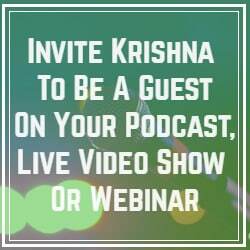 This could have some useful applications such as if you want a back up copy of a presentation to be able to view from a browser or for example if you want to share your browser during a live stream. 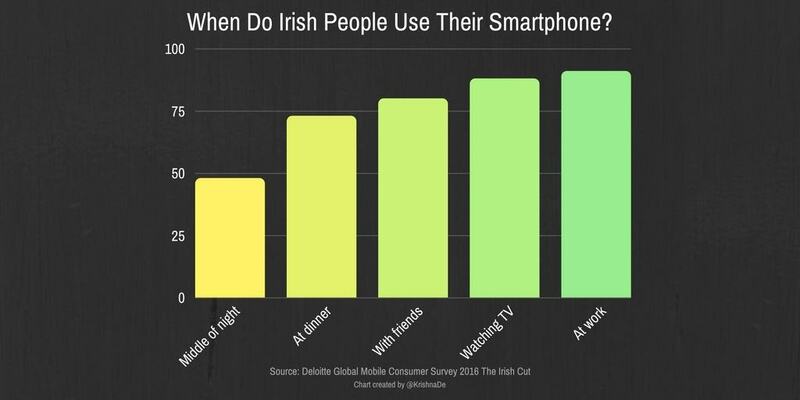 It is meant to be responsive but I found this not to be the case which I cover below. 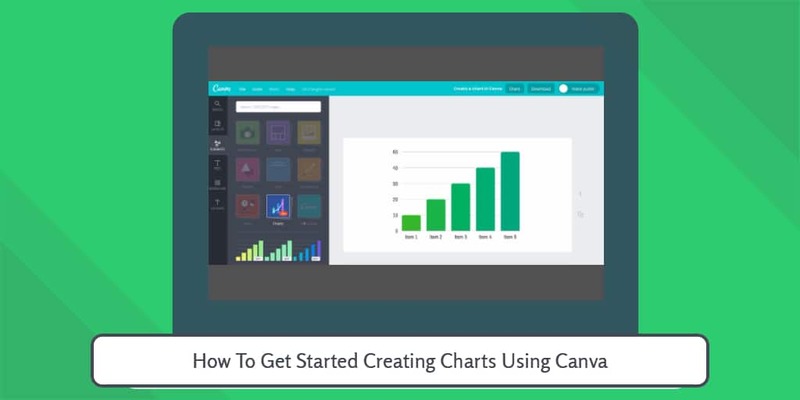 Get started creating charts in Canva by logging into your account. On the left navigation, you need to look for the new Chart feature in Elements. You will then be able to select the type of chart you wish to use and the background colour of the chart. You can select the colour for your chart in the Canva app – this means that you could ensure it supports your visual brand identity. 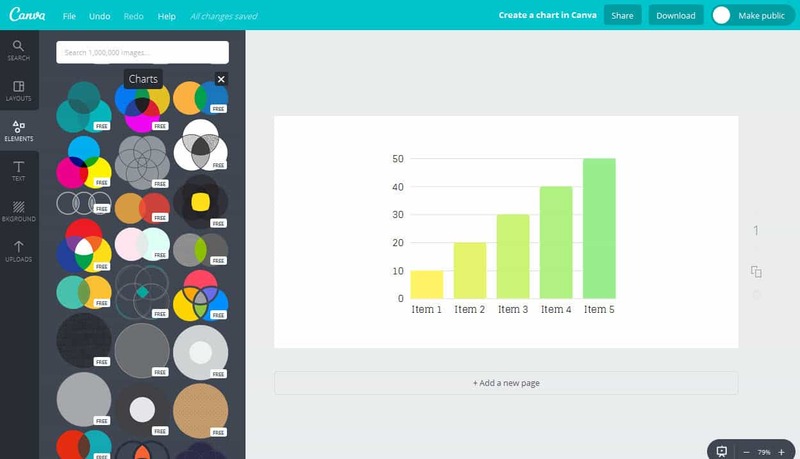 You can then add the data to your graph you are creating in Canva. One thing I noticed is that you are limited with the number of characters for the labels. 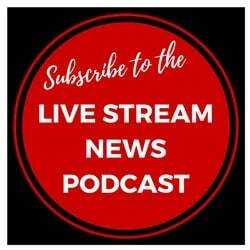 You can change the font as you normally do when using the Canva app. 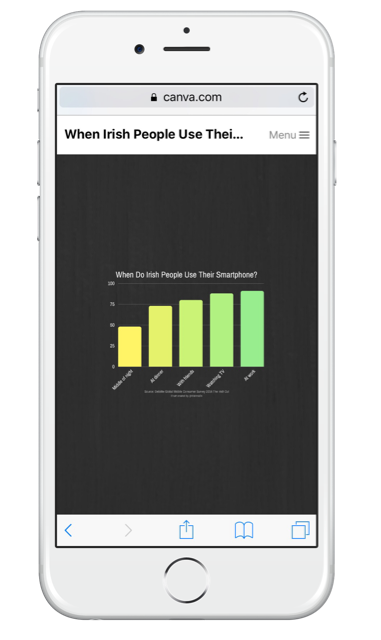 Sharing your chart from Canva is available under the share button at the top of the page – this is where you can enable people to collaborate and edit the design, vide it or share an a web page. 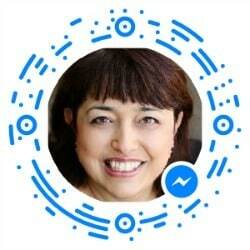 From this same area you can get the code to embed your design. 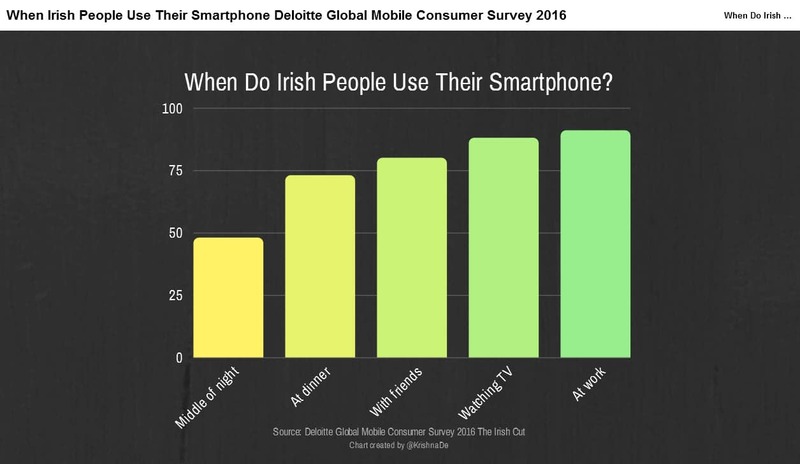 An example can be seen here for a chart I created about when do Irish people use their smartphone based on recent Deloitte data. This is how the web page looks to visitors on desktop. The feature is meant to be mobile responsive but this is where I found there was a problem on iOS. I sent the link to myself by email and when clicking the link on my phone it tried to open the Canva app that I have on my phone. When I copied the link and opened it in Safari the image appeared as below and I could not pinch the screen to make the chart east to read. This feature is in beta so that may be why I had some problems. 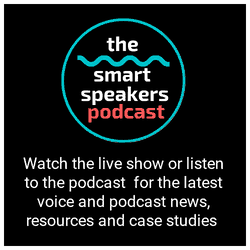 You can see the chart I created as a stand alone graphic – this is the approach I usually take. 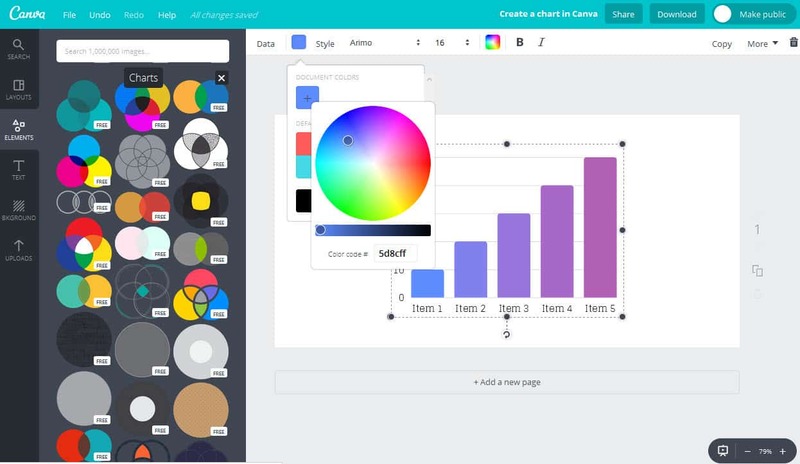 What could you imagine using these new features from Canva for? 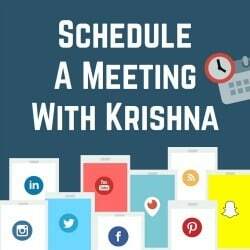 If you have questions about visual content marketing you can schedule a confidential conversation with me by scheduling a time here. 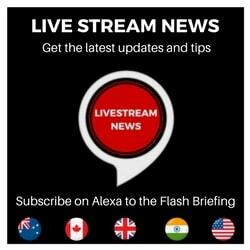 Image credit: All images in this article were created by me, excluding the animations which were sent to me with a press release from Canva about this new feature.